In the wake of Yato’s battle with Bishamon and the revealing of Kugaha’s role in orchestrating the conflict, it’s time for the gang to recoup and unwind! Hiyori attempts to resume her school life, only to find it sidetracked thanks to Yato’s antics, and Yukine takes his next step on the road to being a fully functional shinki. Meanwhile, hanging over it all is the unanswered question: was Kugaha a solo act, or was he merely the start of something much bigger? 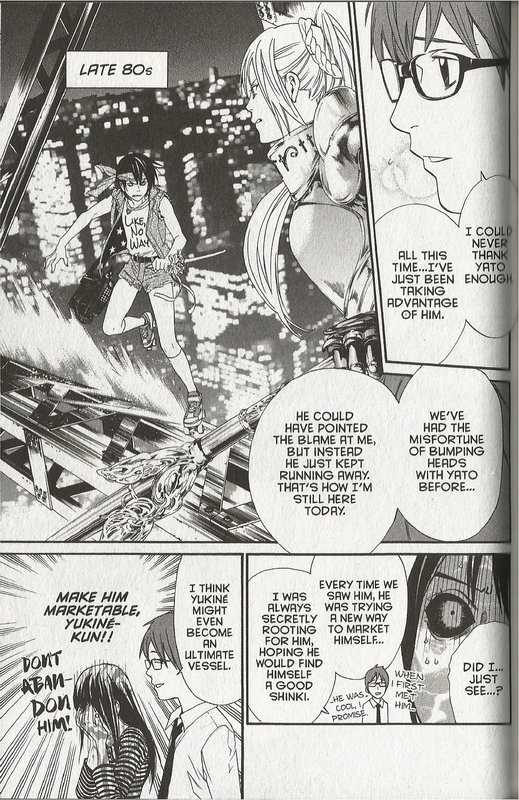 Adachitoka’s charming supernatural action adventure series continues with Noragami, Vol. 7! 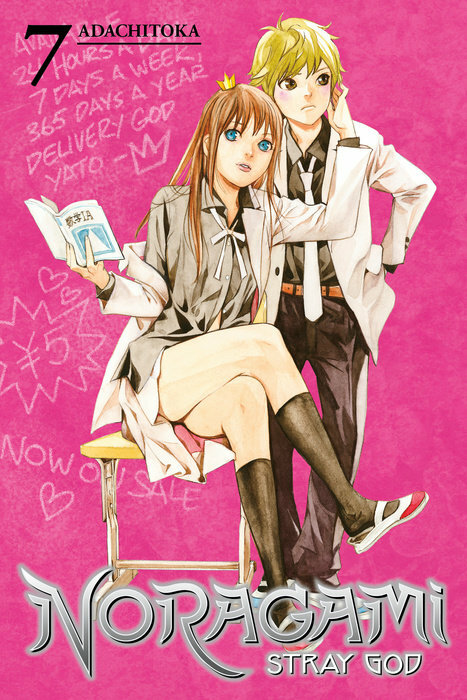 Much of this volume deals with the aftermath of the Yato and Bishamon battle and spends quite a bit of time exploring the changes to Yato and Hiyori’s relationship due to the battle and certain things said during it. It also moves the mystery of the masked ayakashi along and allows Adachitoka to engage in some more world building. A meeting between the gods is shown, more information on the their abilities and the role they play are given out, and we even get some funny and intriguing glimpses into Yato’s life prior to the start of the series. Noragami is constantly walking a tight rope between the cliche reactions and comedy bits that plague many of its contemporaries, but some how manages to pull it off without ever drifting over into obnoxious territory. Yato’s goofiness and his slavish devotion Hiyori and his ridiculous hijinks come off as endearing and lovable rather than annoying. Likewise Hiyori’s complicated feelings towards Yato and the others gods and shinki she’s met over the last few volumes feel genuine rather than forced and there to simply meet plot demands. Moments like Yato finally getting a shrine thanks to Hiyori come off as surprisingly touching and real, even if his obsession and reaction verges on ridiculously over the top. Yes. Yes, you did see that, Hiyori. This is all due in large part to the excellent teamwork between both halves of the creative team. The writing and the artwork work together expertly, reigning each other in when they need to and letting each other run wild when it’s the benefit of the story. The trembling eyes and look of awe on Yato’s face when he finally receives his shrine are perfect for the scene. Likewise when Yato temporarily takes over Hiyori’s body, you don’t mind how ridiculous his behavior and dialogue is as it melds perfectly with the visuals. With Noragami, Vol. 7, Adachitoka continues to spin an interesting and engaging series that has consistently been a pleasant surprise for me. It’s worming its way into my heart and each new volume leaves wanting the next one, which means that I clearly need to catch up with it! Noragami, Vol. 7 are available now from Kodansha Comics. Review copy provided by the publisher.